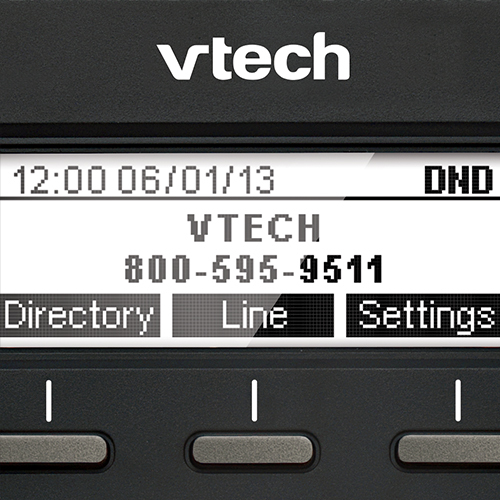 With support for up to three SIP lines/accounts, you can manage multiple calls with advanced call handling features. 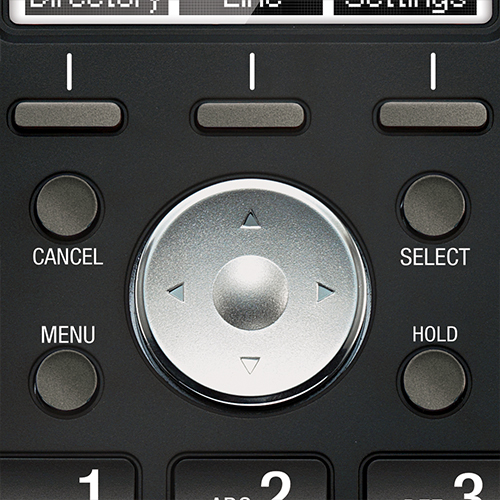 You're in business with a user-friendly interface, large backlit display, three soft keys and navigational pad. 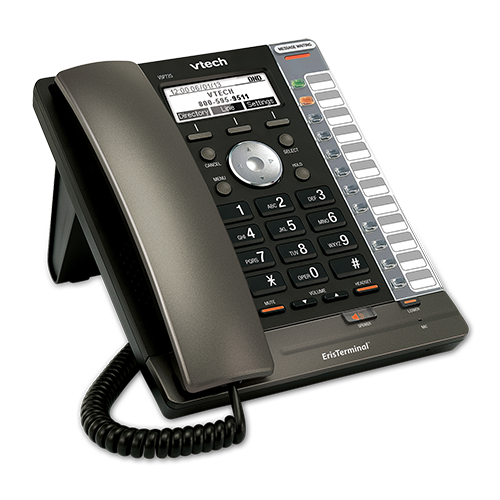 Program up to 12 dual-function feature keys for convenient access, including shared call appearances (SCA), busy lamp fields (BLF), quick dial and feature codes. Finally, a speakerphone that can keep up with your calls. Increase participation by allowing parties on both ends to speak and be heard—at the same time—for conversations that are more true to life. 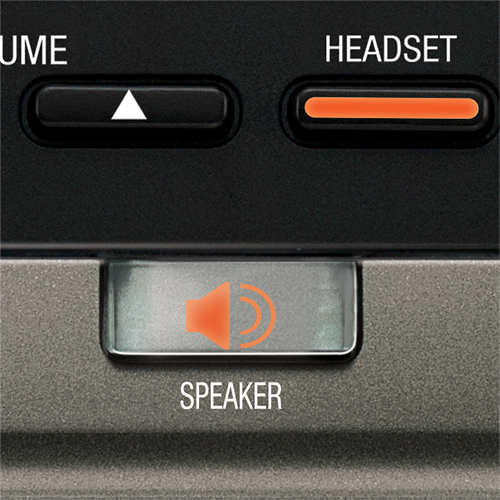 Thanks to the built-in DECT radio, you can pair a compatible VTech cordless headset for hands-free mobility and super-clear sound quality. Do more with dual Ethernet ports. Connect your desktop computer or laptop to the phone—no need for extra cabling. With PoE support, you can locate the phones anywhere that's convenient—no AC outlets or complicated wiring required. Enjoy the peace of mind that comes with an industry-leading, standard three-year warranty. 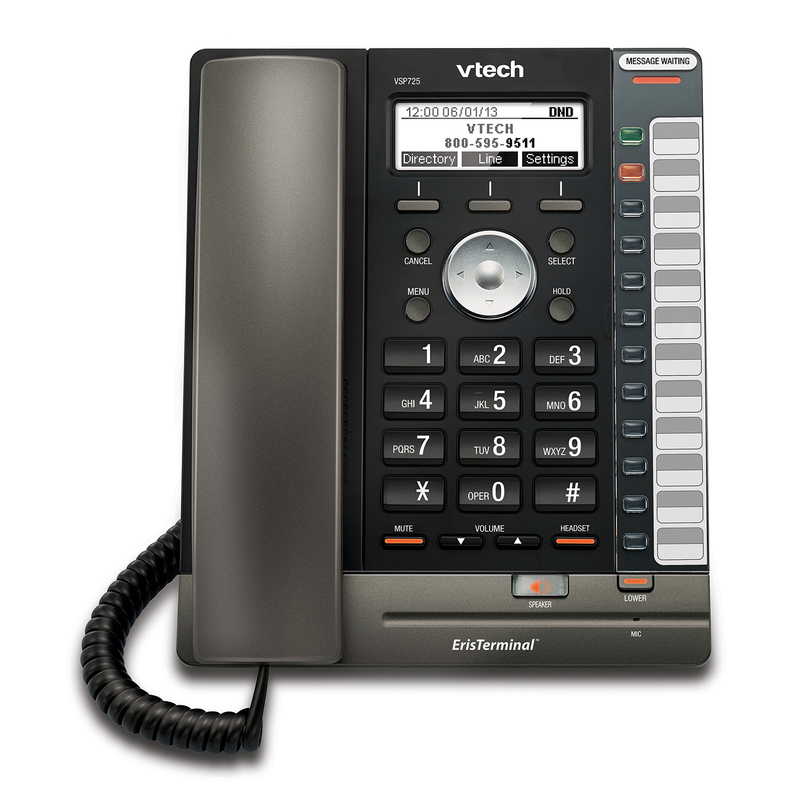 VTech also provides advanced replacement on warranty claims using new, not refurnished products. 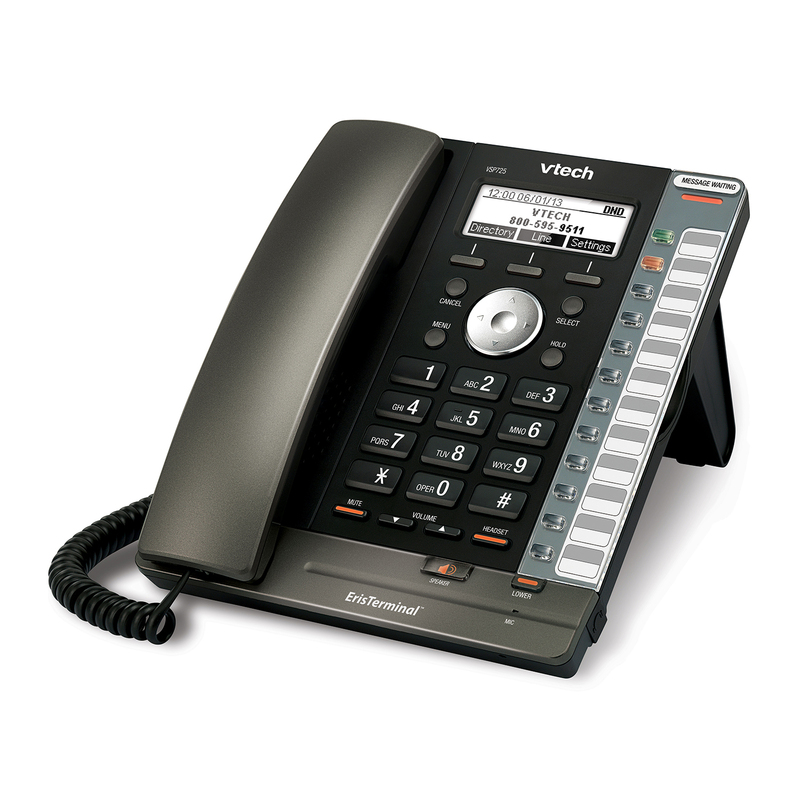 NOTE: Features and functionality may vary, depending on SIP service provider and/or SIP based PBX equipment. 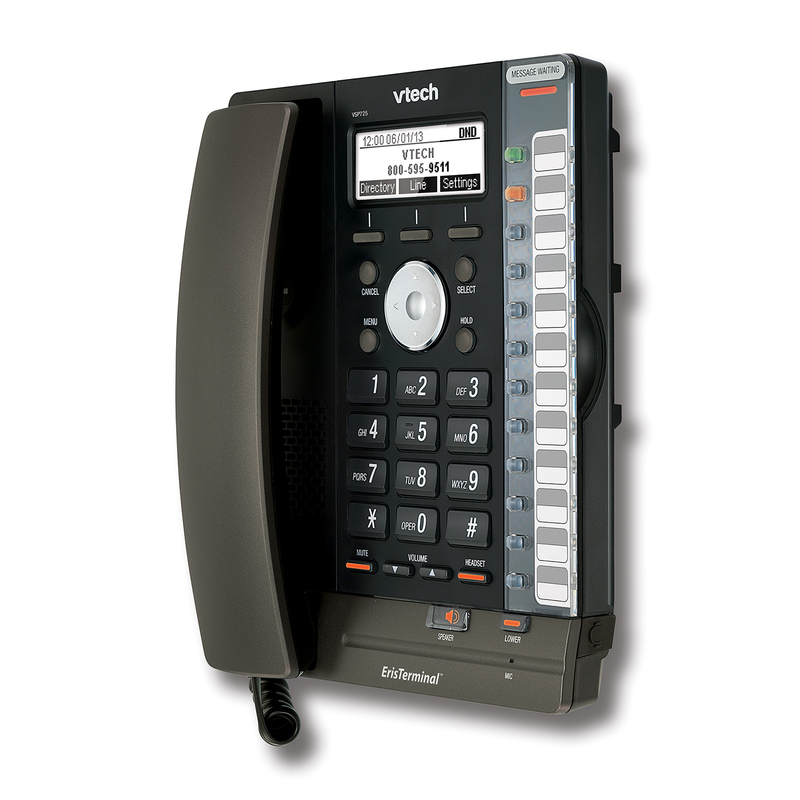 ** Compatible with Broadsoft® and Asterisk-based platforms. © 2019 VTech Communications, Inc.
ErisTerminal™, ErisStation™ and Orbitlink Wireless Technology™ are trademarks of VTech.